Happy Monday Everyone! Today I'm excited to have debut author Stephanie Garber here to share about her YA fantasy CARAVAL. It sounds like a totally riveting story with great characters and world building. When I first queried, finding an agent seemed as impossible as catching a unicorn. I queried about 100 agents, ended up with zero requests, and cried countless tears. Thankfully, I knew my writing could be better. So I tried again. The second book I queried garnered around twelve requests. After not having received any interest in the first book, I thought this was it! I believed I’d get an agent and a book deal for sure. take this R&R offer, but the amount of work it would require was almost equivalent to writing a new book. So, after much deliberation, I decided to write a new novel. When I queried this third manuscript my request ratio was fifty percent. I thought this surely had to be it! Sadly, every agent who requested quickly passed. Something was still wrong. Then a writing contest called Pitch Wars happened. I was chosen by a mentor; she helped me see exactly what was wrong with my work, and finally I signed with an agent. But, while my writing had finally gained the attention of an agent, my story still wasn’t strong enough for a publisher. After that I spent a year doing everything I could to improve my craft. I read every book, attended conferences and book signings, and when I wrote I poured all I had into every sentence. On the last day of December 2014 I finished writing my sixth book, Caraval (for those of you keeping track, I wrote two books which I didn’t query). Then, a week after pouring everything into this draft of Caraval, my agent informed me she was leaving the business. It was a crushing time. I’m pretty sure most people thought I was delusional, because I kept writing books no one in publishing wanted to read. But I was determined to give querying one final shot. Only this time, my mentality was that I didn’t just want an agent, I wanted to query a book that was good enough to sell to an editor. So, I rewrote my query about 100 times (yes, really, I did), I had multiple people critique my manuscript, and I sent my first fifty pages to a freelance editor, just to make sure I was doing everything I could. My request ratio was over fifty percent this time. But although people were requesting no one seemed to be reading. I won’t share how long I waited—I think it feels like forever, no matter how long the wait. Then, after an imaginary eternity, an email asking for a phone call came. An agent had read my book, loved it and wanted to represent it. I was thrilled, so I could hardly believe it when a second agent offered, followed by a third, a fourth, a fifth, a sixth, a seventh, and an eighth. My current agent, Jenny Bent, was among the agents who offered. I’d heard her speak at an SCBWI conference years before. At the time she was way out of my league; she was the unicorn I never thought I could catch. But I now believe catching unicorns isn’t as impossible as I’d once thought, it just requires a great deal more work than I realized. When I was querying, I was a faithful reader of Literary Rambles. So I imagine a lot of you might currently be in those same query trenches. Since I spent a lot of time there, I’ve been trying to think of the best advice I can give. When I wrote my first five books I just wanted to be published. I wrote them fast as I could, revised them as fast as I could, and I queried them with the same intensity. But when it came to book six, rather than trying to write as quickly as possible, I tried to write the best I could, and then I tried to do better than that. I had a freelance editor look over my first fifty pages, I signed up for SCBWI critiques, I shared my query with my all my friends and listened to their advice. And when I revised with my agent, rather than just trying to do what she said, I tried to take everything she said a little further. I read books on craft every day and pushed myself to do more than I felt I was capable of. So my advice is, don’t worry about how long things are taking or try to rush your writing. Instead, do the best you can, and then push yourself to do a little better than that. When I’m not writing I teach creative writing, and I can tell the difference between the students who just do their homework, and those who put a little more into it. More often than not that little extra polish makes all the difference. I’m rooting for all you! Thanks so much for having me here on Literary Rambles. Congrats, Stephanie! So many writers think if they can just score an agent, they win. But that agent still has to sell the book and more often than not, they don't. Yes! Many authors have a long journey of persistence and dedication to craft before publication (me too!). So glad you stuck with it, and your story will encourage others too. Caraval sounds amazing. I remember reading the first chapter of Caraval posted online what feels like ages ago, and I've been dying to read the full novel ever since. Thanks, Stephanie for sharing your journey here. It's encouraging to hear these stories of persistence. I'm pretty sure my family thinks I'm delusional, too. I've been revising for so long, I'm embarrassed to hear myself say it out loud these days. Wow, that's perseverance! Congrats to Stephanie, and I'm glad I'm not delusional to keep writing in the face of rejection. Oh the waiting game. We writers have to be so patient both with ourselves and with agents. I'm glad you persevered and succeeded. Congratulatoins! Great story to never give up the fight. 'Sticktoitness' is a trait all authors must have or they are quickly doing something else. Thanks for your story, Stephanie, and good luck with the book. 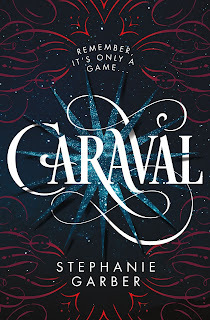 Caraval sounds like a fascinating read! Congrats, Stephanie! Thanks for sharing your querying journey. It's good to know there is hope. And congrats on the book! Congrats on the book, Stephanie! The cover looks like it's perfect for the story. Writing really is quite the adventure, isn't it? Natalie, appreciate the intro to Stephanie. Thanks for hosting! Even after you're published, it can be frustrating...everything takes SO long! Congratulations to Stephanie. Her book sounds fascinating. Thank you for sharing your experience! Congratulations! 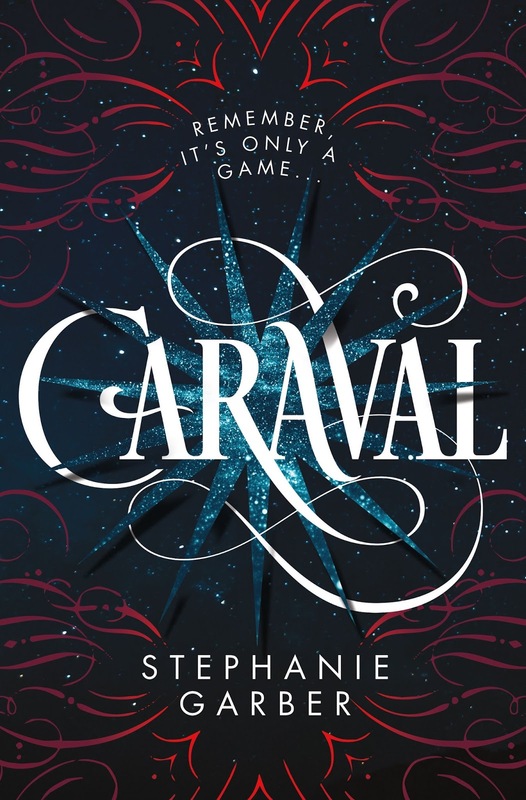 I've heard great things about CARAVAL, so I'll definitely be reading it. So happy things turned out well for you, Stephanie. You kept going when others would have quit. So inspiring! You have amazing persistence and belief in yourself. Definitely inspiring to me. I'm hoping to read this book soon! Quite a story, Stephanie! Glad you stuck with it and stayed determined. Thanks for all the great advice! I love that...push a little further. So simple, yet so write;) I admire your determination and your hard work paid off KUDOS! 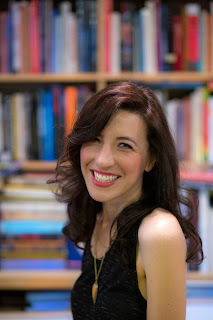 I heard your editor Sarah Dotts Barley at the NYSCBWI conference--she's awesome!! Plus she loves you and your book! I needed to read this today! I'm revising my second manuscript and feeling the pressure to get it done. I'm going to take my time and get it right. Congratulations on finding your dream agent and publishing your first book! Thanks for the guest post. Carnival sounds amazing!! This book sounds amazing! Thanks for the guest post!